As the day 6 has come to an end at the Tianhe Indoor Gymnasium in Guangzhou, China, picture has become clear for tomorrow’s showdown. Tomorrow is the last day of this edition of BWF World Championships 2013. A total of 5 matches will be played in the following order. Looking at the day today gives a clear picture of the day to come tomorrow. In the men’s singles, the picture is pretty clear. The final will be played, as anticipated, between no 1 seed Lee Chong Wei (Malaysia) and unseeded Lin Dan (China). There were many upsets in the men’s singles draw, but it didn’t affect the final outcome. Looking at the performance of the two players so far, I will say Lin Dan is a strong favorite. Even as he is coming back from a long lay-off, he has played like a true champion, demolishing all his challengers in straight games. Lee Chong Wei, on the other hand, has been stretched to 3 games two times, that too against lesser rated opponents. Based on the sheer showing in this tournament, I rate Lin Dan as a very strong favorite. Lee Chong Wei will need to play out of his skin to get better of Lin Dan. But Lee Chong Wei is Lee Chong Wei and I might have to eat my words back tomorrow. The women’s singles has been a bit interesting story. Okay, quite a bit interesting story. As a changing trend in recent past, this tournament also saw 4 different nations represented in last four. 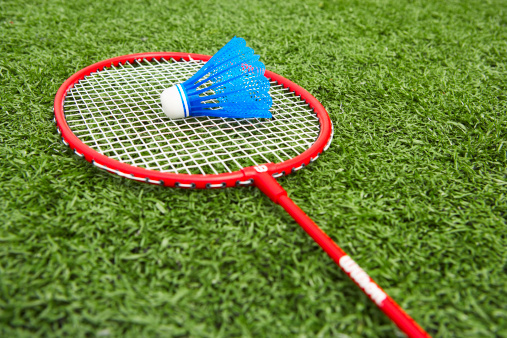 It’s a new and refreshing trend in world women badminton, which has been long in the beckoning. And the credit goes to fast emerging players of new crop such as Ratchanok Intanon (Thailand), P V Sindhu (India), Sung Ji Hyun (Korea) who have been constantly presenting their case to be considered seriously. In this tournament, P. V. Sindhu played the biggest role to end the Chinese dominance in the women’s draw. It was by and large a result of her effort that we saw players from 4 different nations in the women semis. However, that is past. Tomorrow it’s the final’s day and the showdown is between two very dominating players Li Xuerui (China) and Ratchanok Intanon (Thailand). Apart from the age and nationality these two players are more similar than different. They both have achieved quite a bit at a very young age, they both like to dominate their opponent and they both are hungry for success. Needless to say, women’s singles tomorrow noon won’t be any less of a match than men’s singles. The men’s doubles also has an interesting story. The four teams entering the semi-final stage were from 4 different nations. A fresh change from usually Chinese dominated finals. What is even more interesting is that the only Chinese team left in challenge was downed by the Indonesian pair of Mohammad Ahsanand and Hendra Setiawan this evening. Which means the men’s double final will be the only final featuring no Chinese players, in which 6th seed Mohammad Ahsanand and Hendra Setiawan (Indonesia) will take on 3rd seed Mathias Boe and Carsten Mogensen (Denmark). The women’s doubles was interesting in that both the semis were played between Chinese and Korean teams and remarkably enough one Chinese and one Korean team triumphed. The script couldn’t be more perfect. It just goes on to show just how strong Chinese and Korean women doubles teams are. Tomorrow’s final will be played between 8th seed Korean pair of Hye Won Eom and Ye Na Jang and top seed Chinese pair of Xiaoli Wang and Yang Yu. The mixed doubles finals will be played between top seed Chinese pair of Chen Xu and Jin Ma and 3rd seed Indonesian pair of Tontowi Ahmad and Liliyana Natsir. That’s it for today. Over and out from China for the day.